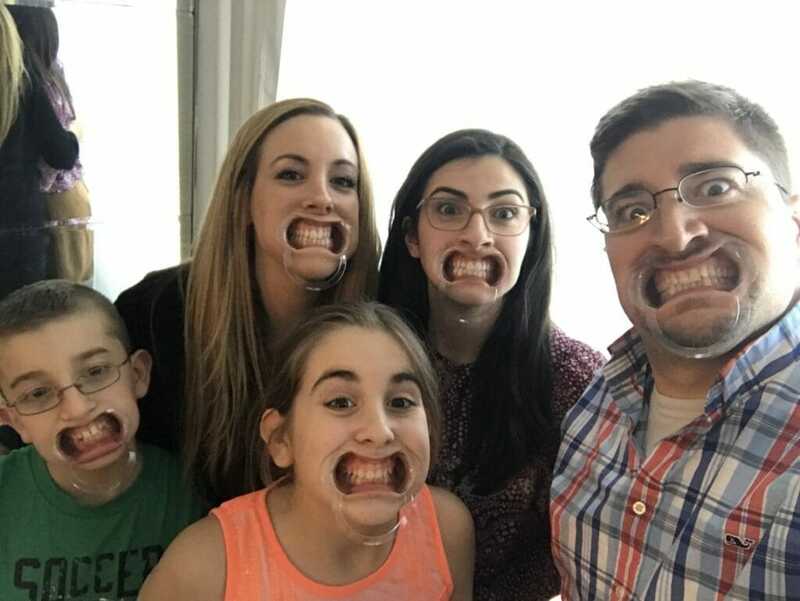 We had so much FUN playing the Watch Ya Mouth game a few weeks ago with my family. 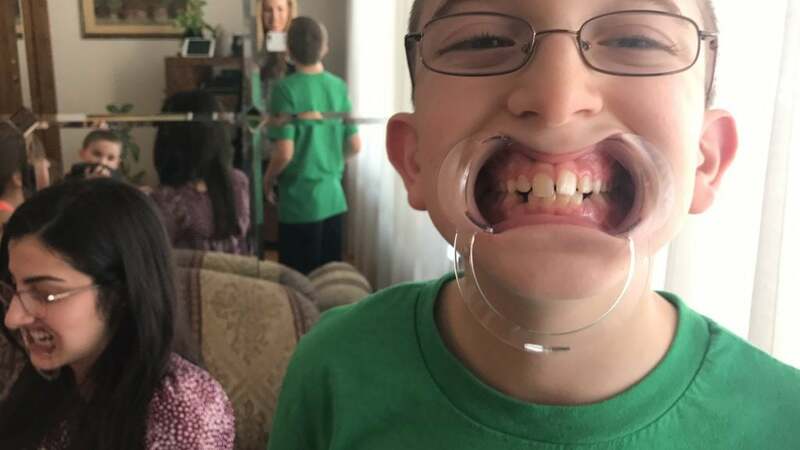 Have you heard of this mouthguard game yet? 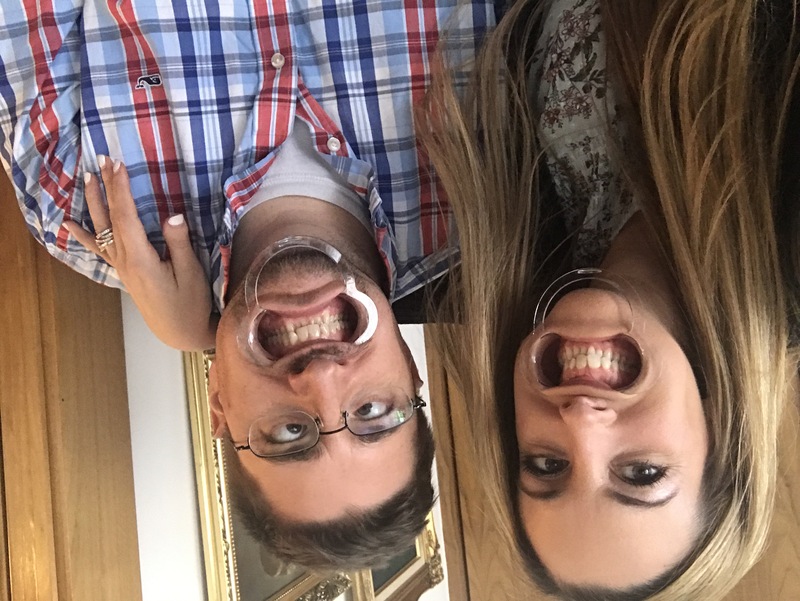 Basically, you put a piece of plastic in your mouth and then you try to say random sayings and get your partner to figure out what you are saying! It’s easier than it sounds and it is loads of fun. 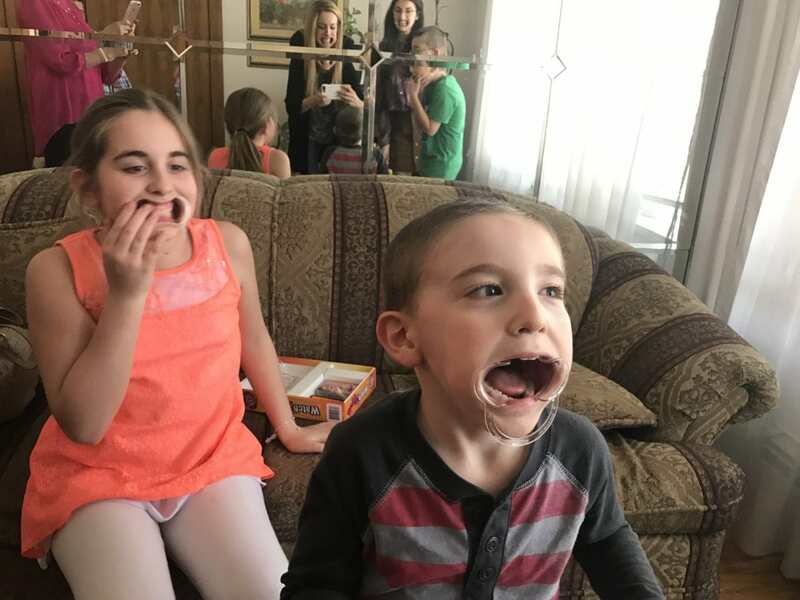 We are always looking for things to do and when I tell you that this game had us cracking up – you better believe in. In fact, the kids kept those silly guards in long after the game was over. We all looked like we were going to the dentist for a cleaning. Even my grandmother couldn’t stop laughing. It’s a super sweet game that anybody can play. 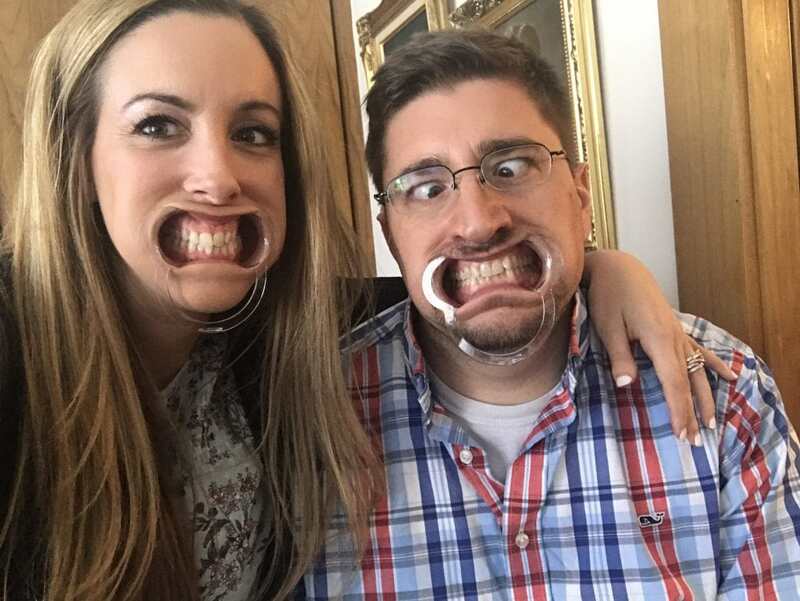 By the way, if you are fighting with your husband – it will all come to an end after one quick game of Watch Ya Mouth game. How can it not? This game comes in a family edition and an NSFW edition. I will leave it up to you which one you opt for! 🙂 Actually, the latter is just an expansion pack. I believe you have to buy the original game to play. The cheek retractors/mouth guards only come in the GAME – not the expansion pack. My youngest son is 4 and he was able to get one in his mouth, but truthfully, he isn’t meant to play. He doesn’t know how to read, so he can’t TRULY play. But we let him say things to us and we attempted to guess. It was cute. We all had fun. The Watch Ya Mouth game is a great afternoon for all. Family Game night needs to make a comeback! Tomorrow I am going to post a daily diary vlog from last week and there will be an excerpt from this video to grandma’s house. Be sure to check it out! Looking for more fun?